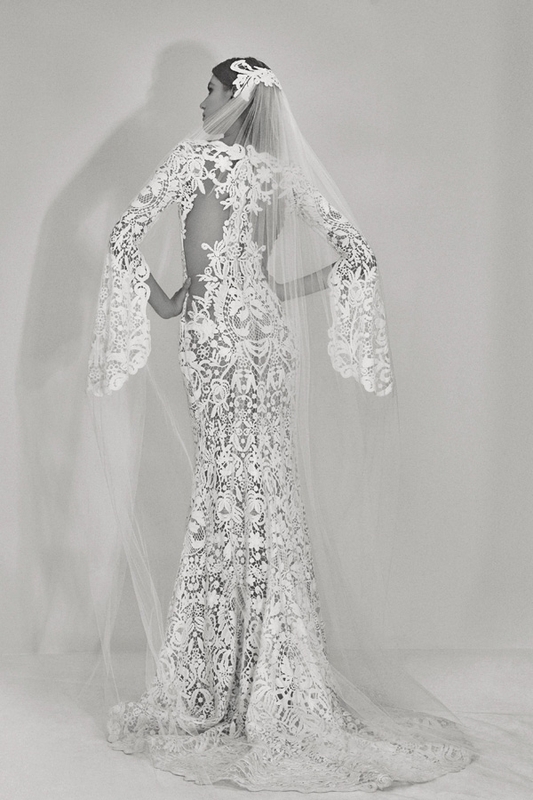 For his second bridal collection, Elie Saab has thought of everything a woman could need on her big day. With fur boleros for winter weddings and hair jewels and veils on demand, he has an accessory for any type of wedding, including detachable capelets for brides who want to look demure in the evening and dance-floor ready after dinner. 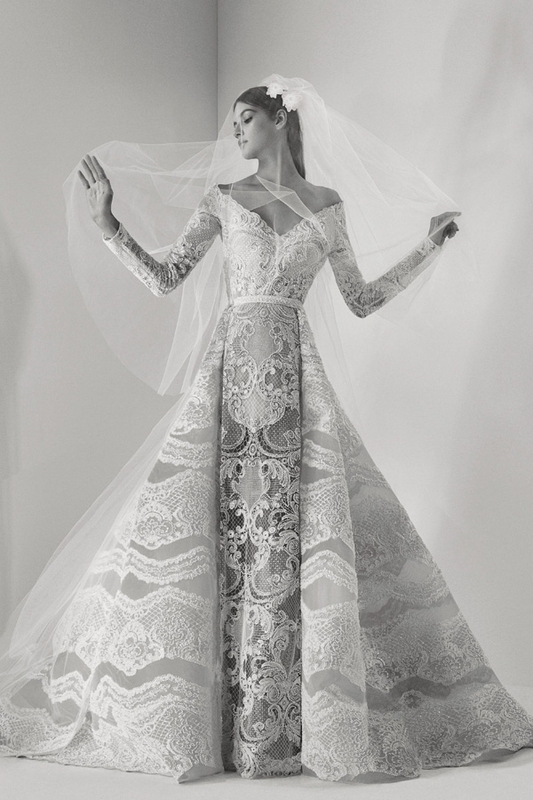 And the dresses themselves are glorious—cut with that tell-tale Elie Saab streamlined shape, they strike the ideal note between high drama and modern sleekness, with a daring edge for every bride seeking bold beauty. A cascade of floral embroidery is subtly feminine. 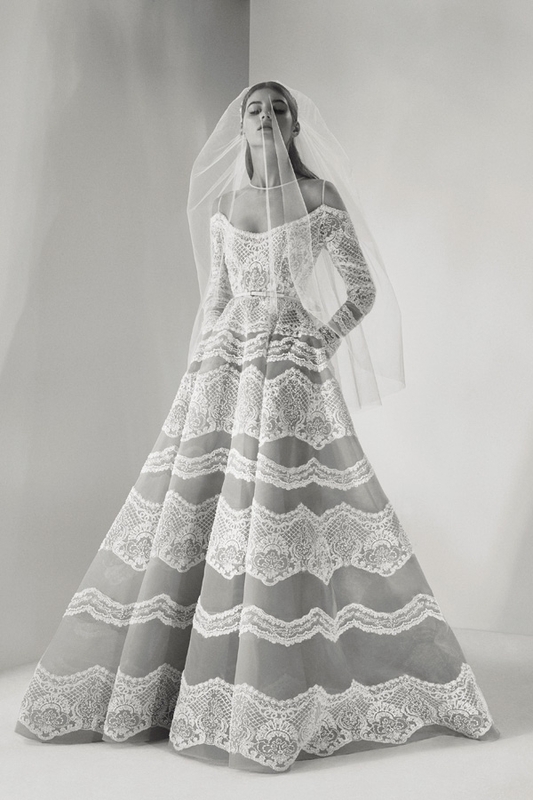 A traditional princess gown is given a modern revamp with contrasting lace tiers and an off-the-shoulder neckline. 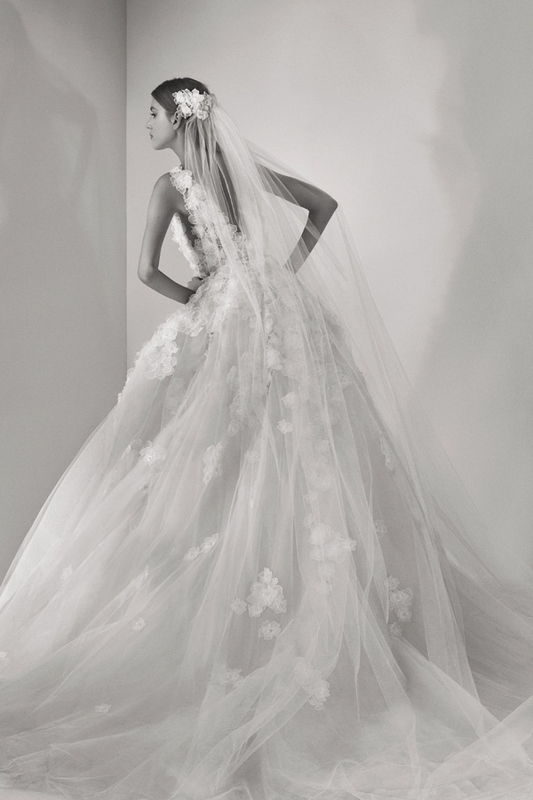 A full tulle skirt gives a soft and wave-like effect. This gown takes a traditional silhouette with sequins and ruffles for a glamorous contemporary twist. The V-neckline draws the eye to the linear folds of the skirt, perfect for creating an illusion of height. A sequin and sheer bustier adds understated detail to a simple pleated skirt gown. Embrace Ancient Greece with a gown fit for a Goddess. 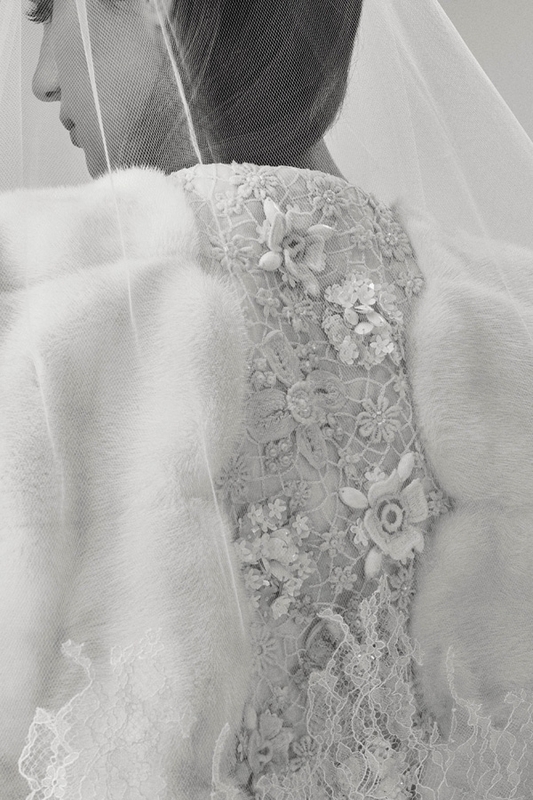 Add a fur shoulder cover for a cold-weather wedding. The wrap-around shape of this dress gives a gorgeous train, and the dramatic fall of the skirt is perfect for a confident bride. The racer back detail of this chunky-embroidered lace dress is balanced by the batwing sleeves. 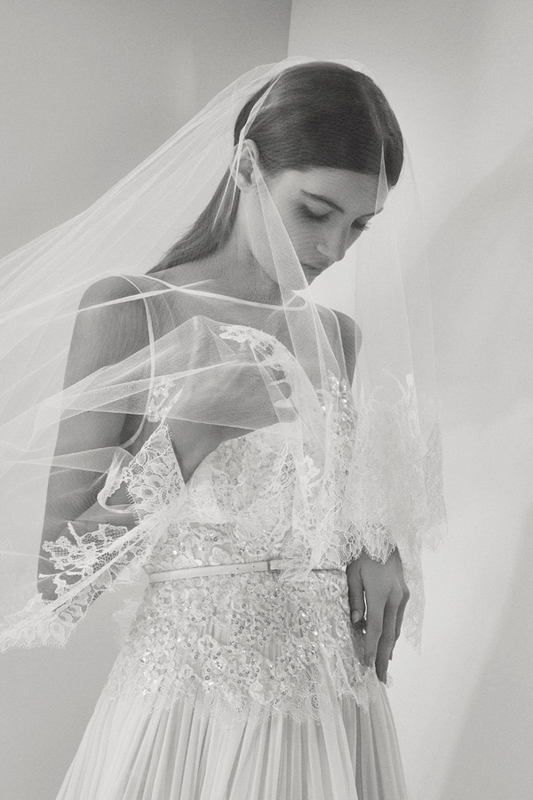 Get more bridal inspiration straight to your inbox and sign up to our weekly eNewsletter.